What an unforgettable experience it was for Newport School yesterday when we attended the 02 for the Young Voices concert along with 8000 other children from schools around the UK. We are immensely proud of all of our KS2 pupils who represented the School for their amazing, singing, teamwork and participation throughout the whole day, during afternoon rehearsals and for the evening performance. They were in fine voice and gave an amazing performance of 20 songs, with actions and with many sung in parts. Thank you to all of the parents who were able to attend and be part of this magical experience with us. 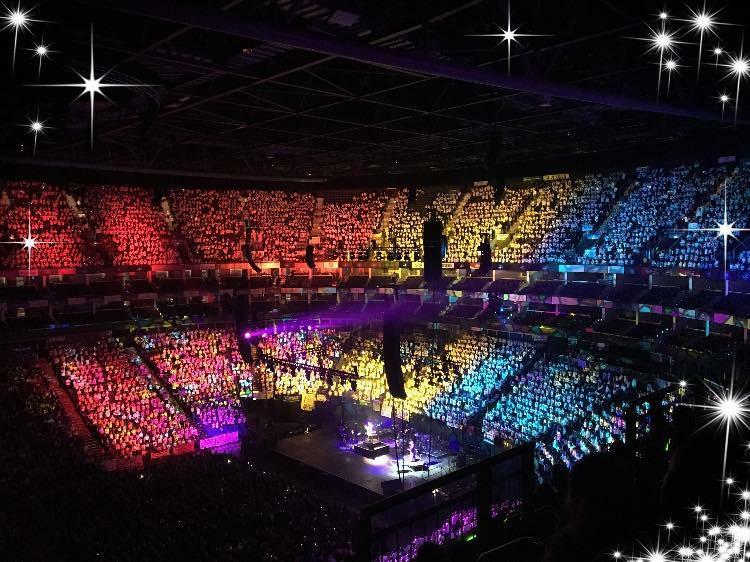 The picture below really shows the enormity of the event, when the children were lit up in many colours for the 'Any Dream will do' song from the musical Joseph and his amazing technicolour dreamcoat.